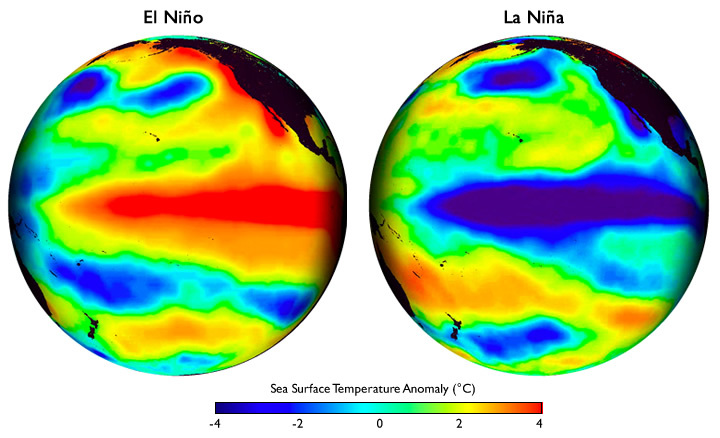 What are El Niño and La Niña — and why should you care? This year, El Niño has already affected 50 million people, devastating crops and leaving tens of millions without enough food. And La Niña is still to come. How do these complex weather patterns actually work? And why are they so destructive? We break it down in this explainer. El Niño and La Niña are complex weather patterns characterized by changing ocean temperatures around the equator in the Pacific Ocean. Specifically, El Niño and La Niña are the opposite phases of the El Niño-Southern Oscillation cycle. In the area around the equator, normal weather patterns mean that winds carry warm water in the Pacific Ocean from the coasts of North and South America westward. But during El Niño, those winds weaken, and the east-west travel of warm water stops. When that happens, the winds reverse, and carry the warm water back towards the eastern Pacific, warming the ocean temperatures. 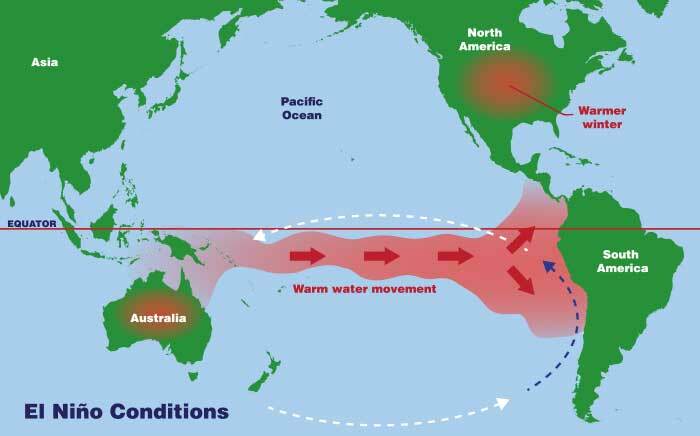 El Niño is often followed by La Niña, an intensification of normal weather patterns, that causes a cooling of ocean temperatures, as the winds strengthen and blow all the warm water towards the west. This warming and cooling of surface water temperatures not only impacts the oceans, but also how much it rains on land, causing either droughts or flooding. El Niño and its warm waters are frequently associated with drought, while La Niña is usually linked to increased flooding — but because the global weather system is very complex, this is not always the case. For example, this year El Niño has caused both flooding and droughts in different places. Each El Niño or La Niña event lasts between 9-12 months, and occurs on average every 2-7 years — but they happen irregularly. While many scientists believe that climate change does impact El Niño and La Niña, they are not certain exactly how just yet. What are the impacts of El Niño and La Niña? El Niño and La Niña most strongly affect countries around the equator such as those in Central and South America, the Caribbean, Southeast Asia, and East and Southern Africa. 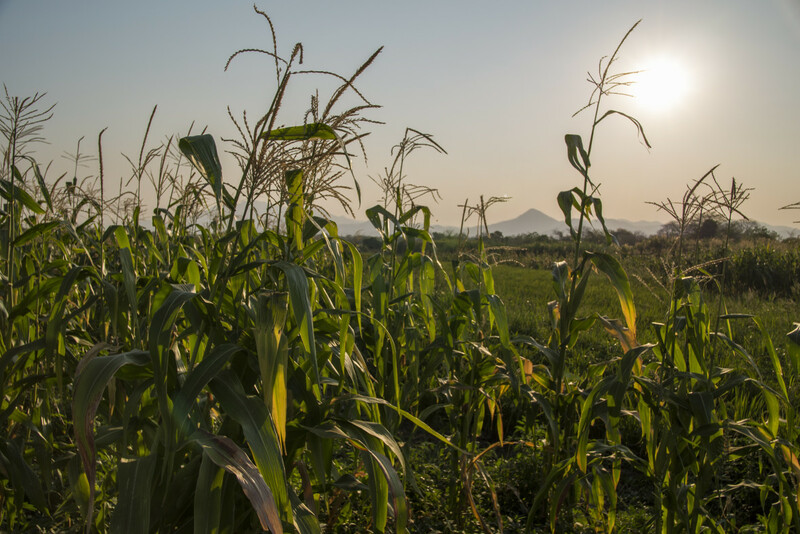 While unpredictable weather cause problems for everyone, it most severely affects people who live in regions that rely heavily on agriculture, as too much or too little rain can be devastating for crops. While drought can cause large crop failures, so can flooding. Flooding washes away seeds, and saturates soil with water so that crops cannot grow. If heavy rains follow periods of drought, precious topsoil can be washed away, too. In many of the world’s poorest areas, people rely almost exclusively on rain-fed agriculture in order to feed their families. Concern works with many of these communities, and they’re the ones that El Niño and La Niña hit hardest. 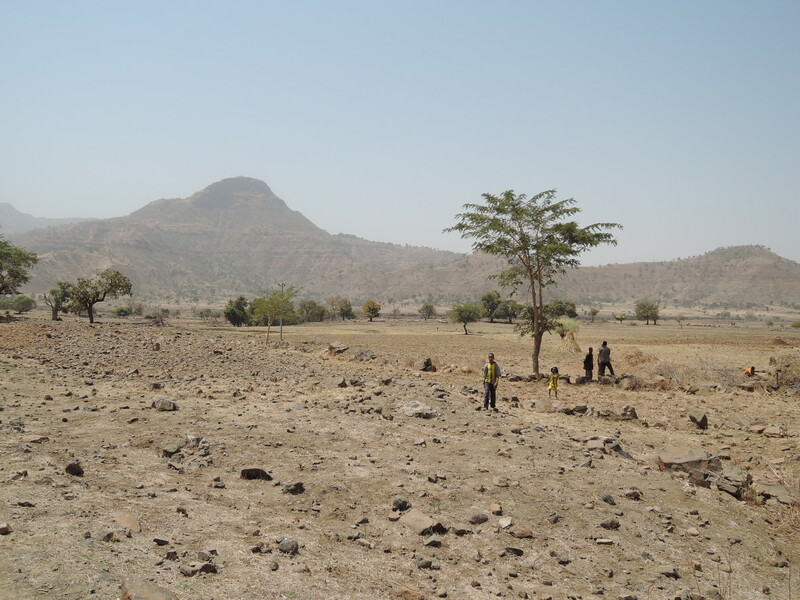 Many of these communities are already working land that is poor or doesn’t receive a lot of rain. Each season, they can only harvest enough food to last them until the following season, leaving them few or no reserves to fall back on. A single drought or flood can therefore have ­devastating effects on these vulnerable communities. One failed harvest can mean families run out of food within weeks and will have nothing to eat until the next harvest many months away. Widespread droughts, like those we’ve been seeing with this year’s El Niño, can leave millions without food. Why are so many concerned about El Niño this year? The 2015-16 El Niño is estimated to be far more devastating than previous events in the past — even worse than the strongest El Niño on record (1997-1998), which killed an estimated 21,000 people worldwide and caused $36 billion in damage to infrastructure. So far, over 60 million people have been affected by the current El Niño crisis, which comes on top of already volatile and erratic weather patterns linked to climate change. Even though the direct effects of the weather pattern are winding down, the consequences of failed harvests will be felt until at least early 2017. Which countries are most affected and what is Concern doing about it? Climate response is part of Concern’s core programming, and we help communities build resilience to climate change and climate-related disasters so that they are better prepared to cope. 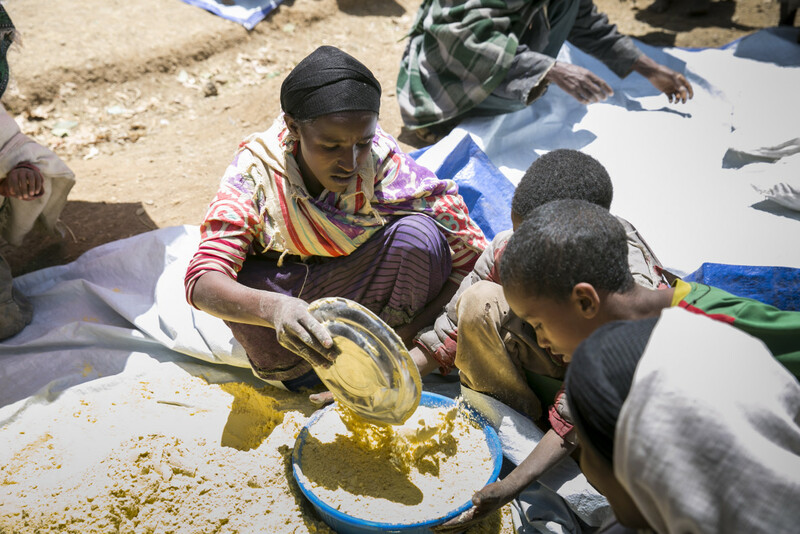 However, due to the severity of this year’s El Niño weather pattern, many countries need emergency assistance. 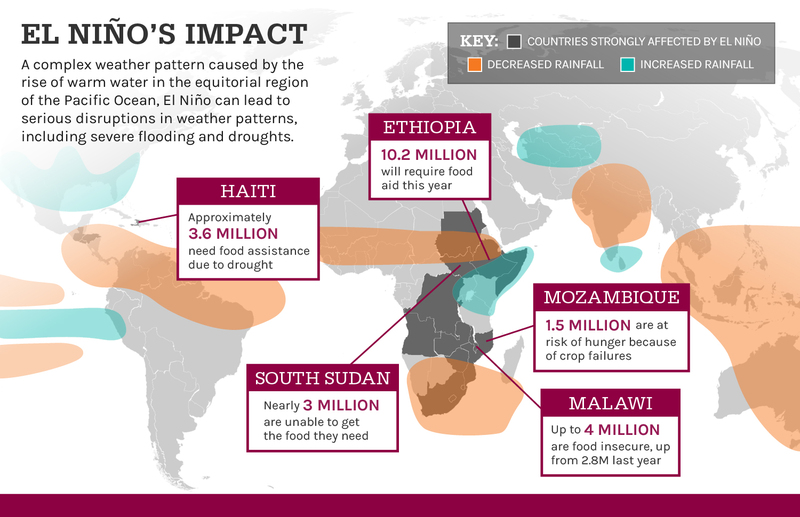 Within Africa, El Niño hit the eastern and southern regions hardest, affecting around 50 million people. 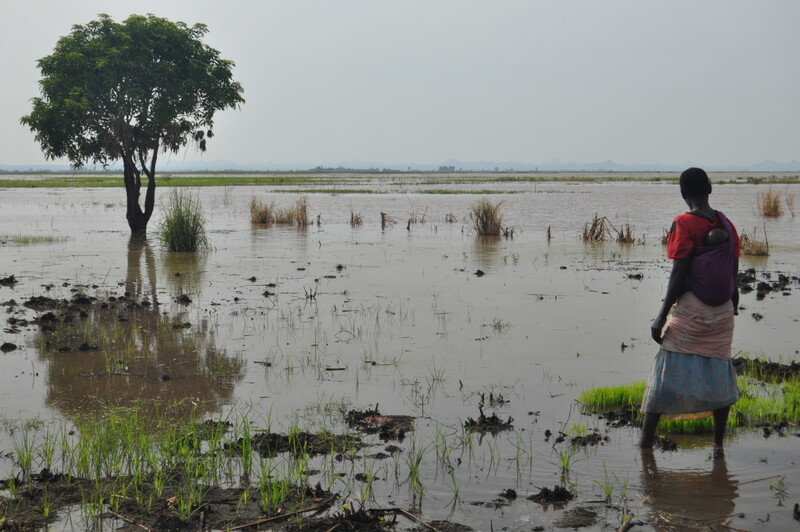 Concern is providing El Niño-related support in ten countries in these regions, particularly Ethiopia and Malawi, which are under the biggest strain. 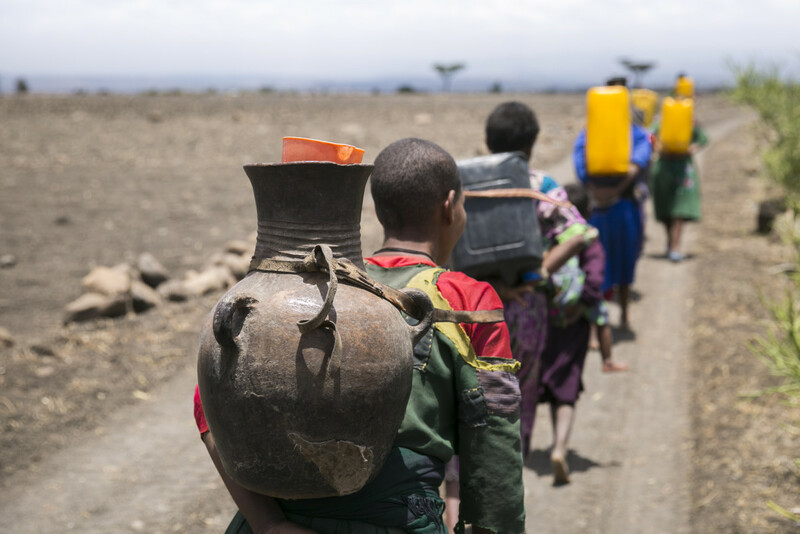 Ethiopia is suffering a severe drought due to two failed rainy seasons in a row — reportedly the country’s worst drought in over 50 years. 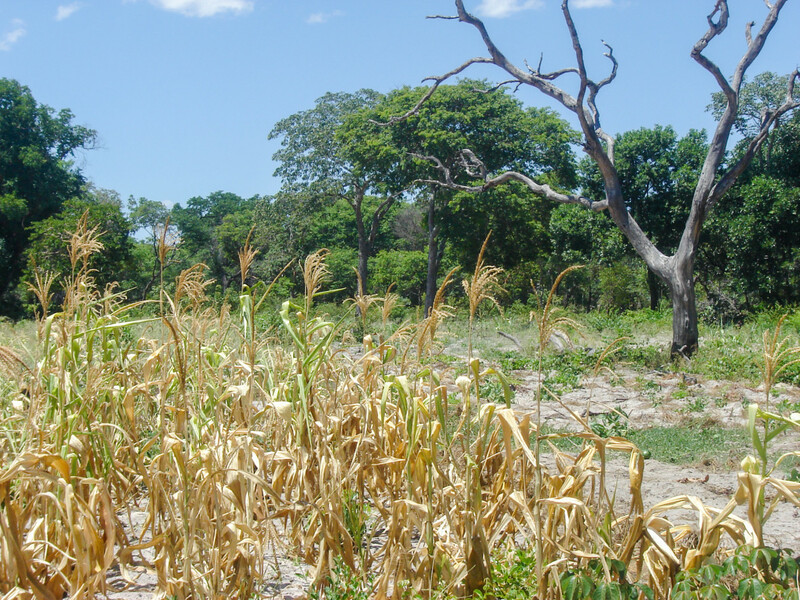 In mid-April, the President of Malawi declared a national disaster because of the ongoing drought and the country’s worst crop failure in a generation, a consequence of El Niño. We’re reaching hundreds of thousands of people whose lives have been devastated by El Niño — providing emergency food, water, seeds, and more.